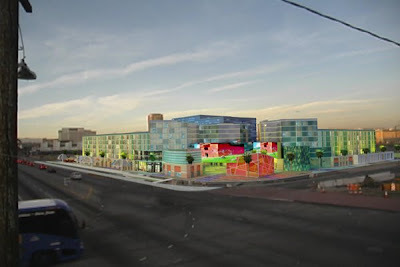 Last Friday (8/15), the Los Angeles City Council unanimously approved the selection of the Nikkei Center team of Little Tokyo Service Center, Kaji & Associates and Urban Partners and their proposal for the development of the First and Alameda site known as the Mangrove parcel. The City Council authorized the Chief Legislative Analyst to enter into an Exclusive Negotiating Agreement with the Nikkei Center team that will define the terms of the sale in much greater detail. The team and the CLA's office estimate the final terms of the sale, including the general development scope and schedule, will be completed by next spring. Ron Fong, Director of Planning at LTSC, remarked on the opportunity to participate in the development of the last sizable piece of land in Little Tokyo. "We accept and welcome the responsibility of being accountable to community stakeholders for every aspect of this project--including its design and community benefits such as affordable housing, parking, job creation and business development opportunities." OMG!!! ZERO mg of MSG! Nisei Week Parade includes NCRR!